Buying Essential Phone from a network carrier brings you some benefits in form of subsidy in price but it also means you didn’t buy Essential Phone unlocked and that brings you restriction of using other networks by putting a sim lock. If you want to avoid any restriction and want to get your Essential Phone unlocked and thinking how to unlock my Essential Phone, we got you. With our fastest and safest service you can have your Essential Phone unlocked, you are not gonna unlock Essential Phone for free but you’ll get it in minimum price. How To Unlock Essential Phone? 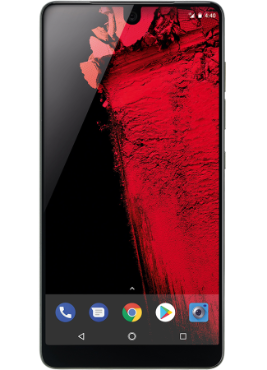 The fastest way to get Essential Phone network unlocked is by network unlock code for Essential Phone Canada and it is the only legal way. Unlock code can be obtained from network’s or manufacturer’s database. And with the help of your IMEI # we can provide you your Essential Phone Canada network unlock code. 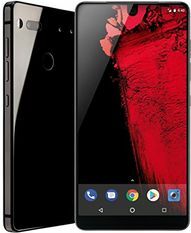 How To Order Unlock Essential Phone Canada? Network Your Essential Phone is Currently Locked to.. Enter the IMEI number of your Essential Phone. Dial *#06# to get your IMEI number (for Details Finding the IMEI of your essential phone). Provide Email ID to receive Unlock Code and Proceed to Pay Unlock Fee. We will send you Unlock Code in mentioned time. Restart your Essential Phone with Another Network SIM. When asked for Unlock Code, Enter the Unlock Code you Recieved from Us. How To Find IMEI # Of Essential Phone? How To Enter Essential Phone Sim Unlock Code? Just change the sim to the one that is not accepted by your Essential Phone and “enter unlock code” or “Sim Network Unlock Pin” menu will pop up. Just enter the sim unlock code sent by us and you’ll get Essential Phone sim unlocked forever. Since unlock code are obtained straight from official database so there are no risks involve in the whole process.Neither you need to send your Essential Phone to us for unlocking so no chance of getting Essential Phone misplace. You can read more about risks involved in unlocking process here. Why Unlock Essential Phone with LetsUnlockPhone? Kindly, before ordering unlock essential phone canada service check if “network unlock pin” menu appears when you change the sim. Specs of Essential Phone are written here.